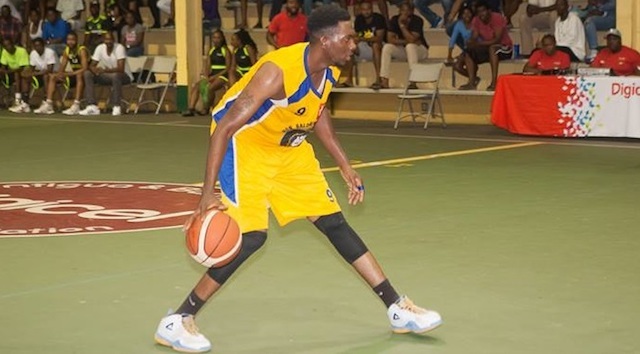 Hands Up Foundation (HUF) Baldwin Braves are the new Antigua & Barbuda Basketball Association (ABBA) Playoff champions. Braves closed out their best of five finals 95-84 against former champions Flyers on Sunday night, winning the series 3-1 in game four. The Grays Farm team came from a game down to win three consecutive games and lift the title. Former national player Lennox McCoy led the way for Braves with 34 points and five rebounds while Vivian Destin sank 22 points, grabbed 10 rebounds and five steals. There was also a sterling contribution from Playoff MVP, Xavier Meade, who hit 19 points, had five assists and four steals. McCoy expressed both gladness and relief that the series has been decided. “I am just so happy for the guys,” he said. “It’s not just for me because we’ve worked so hard throughout the season and had to be dealing with everybody and the media with the big three story so I was just happy,”. The former professional player said he was confident long before the final whistle that his team would have lifted the title at the end of the night. “Midway through the third quarter I realized that we could have done anything we wanted and even when ‘X-man’ [Xavier Meade] got into a little foul trouble, I said to the guys that I only wanted to feel a little better and my leg wasn’t hurting as much so I realized that we could have done anything we wanted, even when he got into foul trouble but my teammates just hung in there and then at one point we just knew the series was over,” McCoy said. For Flyers, Keroi Lee led with 27 points and 16 rebounds while Reiner Castillo had 16 points.